Visit Reell at booth L01 to learn more about our premium position and motion control technology. Reell Precision Manufacturing, a world leader in small package position and motion control, is pleased to announce it will be participating in the International Component Manufacturing and Design Show in Shenzhen, China from August 30 to September 1, 2016. Reell will demonstrate a wide range of products featuring its patented ReellTorq® technology which provides consistent long-life positioning combined with smooth elegant feel motion. ReellTorq's® premium performance and long-life make it ideal for use in applications including medical carts, surgical chairs, diagnostic equipment and operating room lighting. Reell's Vice President of Global Sales and Customer Service, Jack Field, sees great opportunity for Reell's technology in China. "The Chinese market is very important to our mission of serving worldwide medical customers with world class technology and products. Trade shows like ICMD, along with the launch of our Chinese language website earlier this year will greatly help our in-country sales team serve new customers." 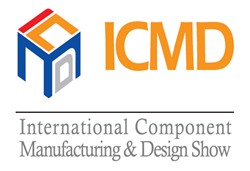 The ICMD show is focused on the business of medical device manufacturers and upstream product suppliers, which include manufacturing equipment, OEM technology, packaging, printing, materials, design, R&D, components, parts, and other relative services. Reell will be at booth L01.